Between planning for his stage tour and Twittering, ousted late night host Conan O’Brien was approached to appear on Fox’s “Idol Gives Back” special airing on April 21. 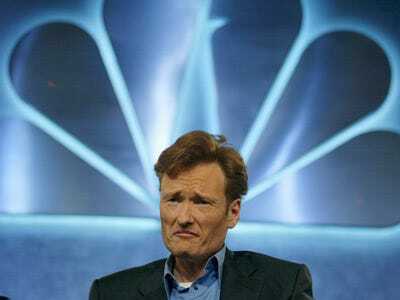 But NBC is banning O’Brien from the show, citing his gag from appearing on TV until May 1, Reuters reports. American Idol’s producing company 19 Entertainment reached out to Conan to appear on the two-hour charity special, which has raised more than $140 million in past years. They ask a pool of celebrities to make cameos on the show and help raise more money. For the 2010 “Idol Gives Back,” performances and telephone donations will go to the Children’s Health Fund, Feeding America, Malaria No More, Save the Children’s U.S. Programs and the United Nations Foundation.